The Behemoth will be unveiling their new game on March 18, the developers said today. 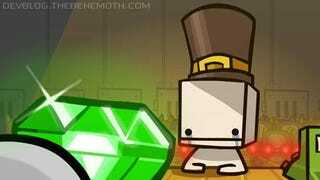 The developers behind Castle Crashers and Alien Hominid also said they will be showing a very early version of the game off at the Tokyo Anime Fair on March 20 and 21. Until then they've posted this single shot from the game which offers little insight into game play, but at least gives us a sense of the art style. Tokyo Anime Fair and Game #3 stuffs!